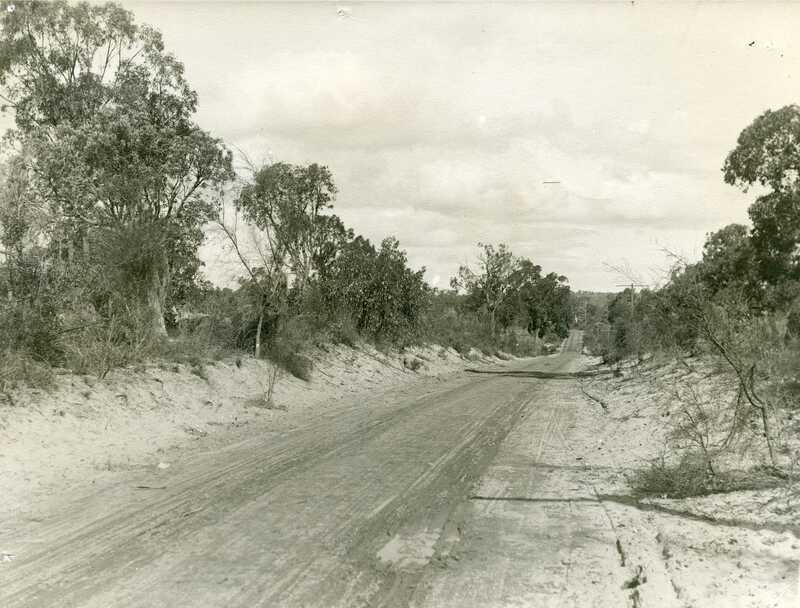 Photo Acc 82 – Canning Hwy (Fremantle Rd) from South Tce to Towards Causeway c.1910. Courtesy of City of South Perth Local History Photograph Collection. The name of the street formerly known throughout its length in previous years as Canning Road (from the southern approach of the Fremantle Traffic Bridge to the Applecross Wireless Station), Perth-Fremantle Road (from the Applecross Wireless Station to the lower Canning Bridge), ‘Lower Canning Bridge Road’ (from the Lower Canning Bridge to South Terrace) and ‘Fremantle Road’ (from the lower Canning Bridge to Albany Road). The name of the entire length of road was changed at the request of various local authorities and the new name was eventually published in the Government Gazette dated 26.11.1937. Named after the CANNING River which it crosses. The road is known to have been in use as early as March 1849 when a ferry service was begun at the place where Canning Bridge now stands. Public Road No. 124 and 6690.